Deriving its name from its shape, this Economy Sugarloaf Helmet recreates a variant of the warriors great helm from the medieval era, allowing modern warriors to make it a part of their armored attire whenever they fight and reenact today. 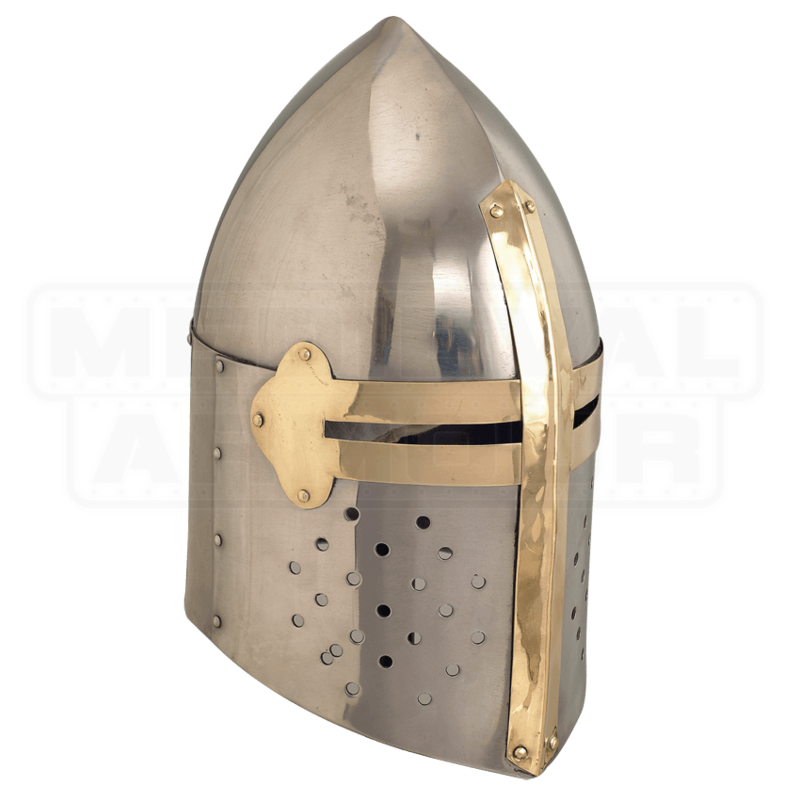 Originally based out of Spain, the sugarloaf helm offers a similar style to the iconic Great Helm of the Crusades era, but instead features a conical top instead of a flat one. The conical shape helps divert force from the head, while also creating a distinctive look that pairs nicely with the brass cross inlay over the eyes. This helmet is made entirely from 18 gauge mild steel. The helmet comes with an internal liner, and is offered in one size. This Economy Sugarloaf Helmet is from a line of helmets and armors that are designed to be cost-effective, offering the maximum protection possible for the lowest price possible, making each piece a fine bargain to be had, as well as solid protection to wear.